This past weekend, Mike and I went thrift shopping. I saw this boat and kind of freaked out a bit. This was most definitely my favorite bath toy as a kid. The best part was flicking the little people (or dog) off the diving board. So awesome. I didn't have this one, but my neighbor across the street did. It took all of my strength not to buy these. ALL of it I tell you. Well, then I got all nostalgic. So, join me on a journey to my past. 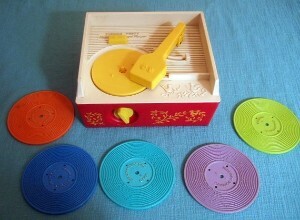 He also had this set. 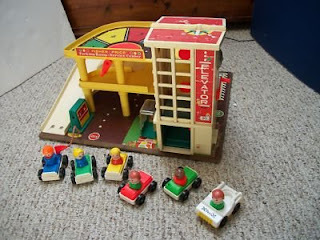 I remember the little gas nozzle that you could fill up the car with. OO! and the car elevator! 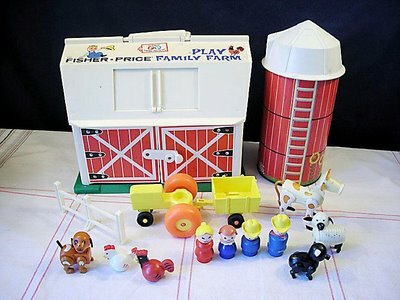 This was the greatest set EVER. I was lucky enough to have the whole thing. The wall that folded down which was a chalkboard. The roof that was magnetic for the letters. The merry-go-round which you spin so fast that the little people go flying...good, clean, fun. When you took a picture...the cube rotated. 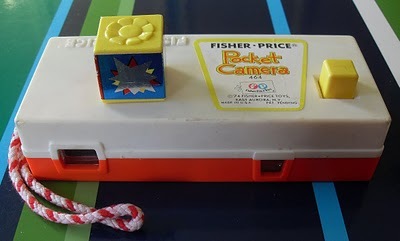 I totally remember my mom and dad's real flash cube cameras. Remember those days, when you had to buy film AND flashes, AND you couldn't see your pictures until you actually developed them? 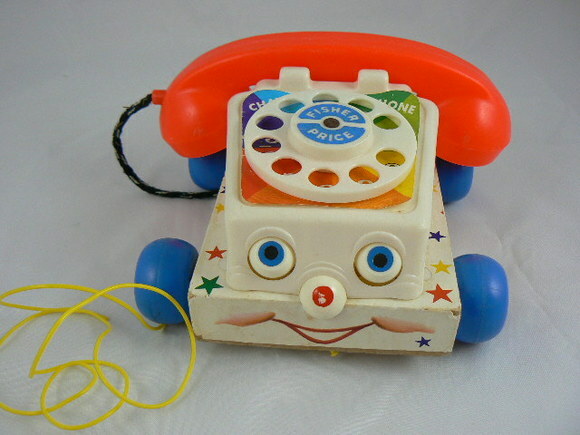 They still make these which surprises me since most kids today have never and will never use a rotary phone. Playing teacher and cashier were my favorite. 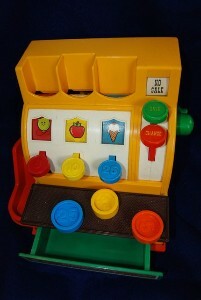 You put the coins in the slots, pull the lever, and they would slide down into the drawer. Notice there's no credit card slot like all the cash registers have today. We start 'em young on how to ring up debt now-a-days. I don't know why, but I was SO jealous of my best friend, who lived down the street, for having this. 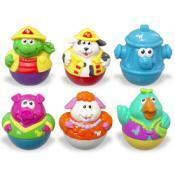 And then there were the Weebles. My brothers and I still reminisce about the camper. I still have that same blonde Weeble tucked away with some other childhood treasures--which you know will be a future blog post (a Simplify Sunday post most likely). 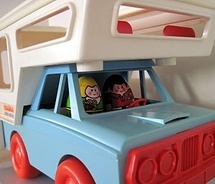 Tune in tomorrow for part two of awesome 80's toys. There is a camper sitting in our basement! Did you know that? For Real!? I thought we got rid of that. SWEET!